accents. 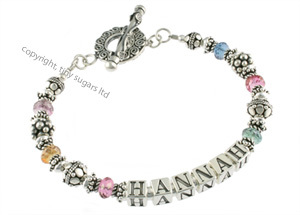 The Hannah Mother's Bracelet is sure to capture everyone's attention. occurring Topaz gemstones are very clean to the eye with very slight inclusions.